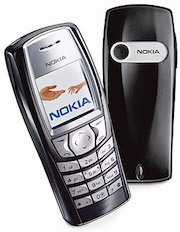 As one of the world’s first major manufacturers of mobile phones, Nokia have produced hundreds of different models since their first back in 1982. In addition to the popular Lumia Windows smartphone, it’s surprising how many of the older Nokia phones are still in circulation that we still see. What Data Is It Possible To Recover ? What Situations Can We Recover Data From ? 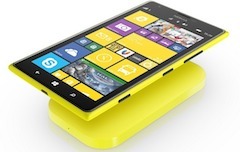 Take your faulty phone to a high street shop and they won’t be able to recover your data. Worse, because data recovery is highly specialised and high street shops don’t have the skills or the equipment required to retrieve your data, they’ll frequently ruin any further chance of data recovery. We use advanced techniques of data extraction such a JTAG (above) and Chip-Off to recover the data from Nokia phones. In addition to our standard methods of phone recovery, we use the hardware techniques of JTAG and Chip-Off to recover your data. Both of these hardware methods are very successful and work at a much lower level than software as they bypass the phone’s software and operating system altogether, allowing us to directly communicate with the phone’s memory storage chips and other onboard hardware. JTAG – JTAG uses access points on the phone’s motherboard that allow us to access various parts of the phone, such as it’s memory, SIM and storage cards. Data from these is read off and then files and information extracted accordingly. Chip-Off – As the name implies, chip-off means removing the phone’s memory chip from the motherboard and reading it’s data separately. Data is extracted ‘RAW’ and then reconstructed using algorithms that mirror how the data was stored on the original phone. Call us or use the contact form to your right and describe your problem. We’ll give you a cost and it’s up to you if you want to proceed or not.